Happy Holidays from The KTG! With the Yuletide Celebration fast approaching, restaurants have been preparing holiday meals to help pep up their menu. One restaurant whose menu doesn't need any pepping up, is Mango Tree. However, even with its extensive roster of classic Thai dishes on its menu, I was surprised to see that they beefed it up anyway in honor of Christmas! 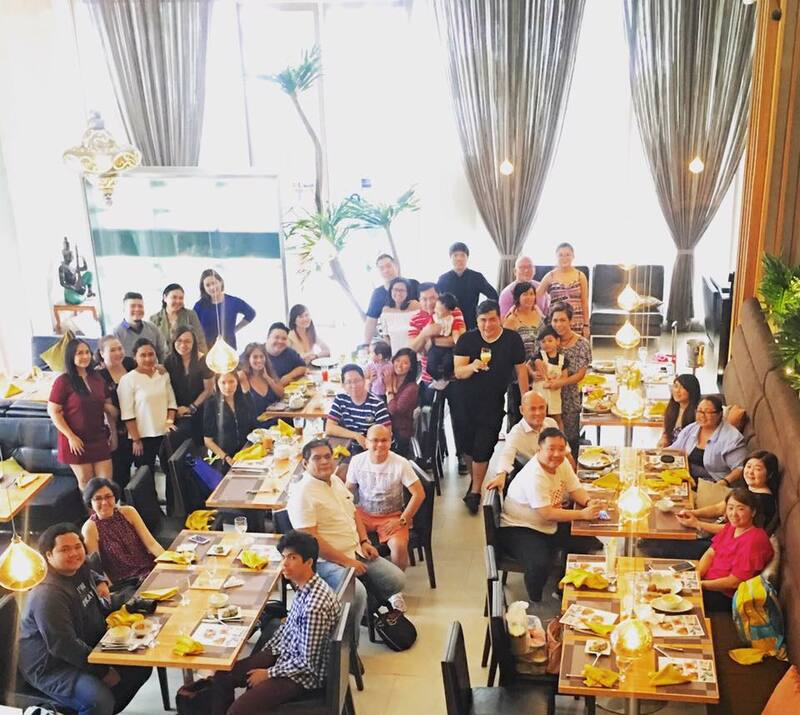 The KTG members along with some other blogger friends were invited to Mango Tree at Bonifacio High Street, to try their 2017 Holiday Selections! Since arriving in our shores a few years ago, the international chain Mango Tree has established itself as one of the premiere Thai restaurants in the Philippines. Before diving into the new Holiday Selections that they launched just last December 15, we first took a moment to revisit some of the classic items of their menu that I've come to know and love. From the existing menu, one of the staples is the Deep-fried Shrimp Cakes with Sweet Chili Sauce (P420). Ground up shrimps are delicately coated in bread crumbs and deep fried to a golden crisp, that perfectly compliments the light sweetness and gentle kick of heat from the chili sauce. The Chicken Satay (P380) is another must try dish from Mango Tree. The blend of herbs and spices brings out the natural flavor of the chicken, and the mastery of its grilling offers an unreal juiciness that will demand you grab one stick after another. The Grilled Honey Pork Spareribs (P550) has always been my go to dish when dining at Mango Tree. The wonderful marriage of sweet and savory is evident in this dish, with the smokey, flavor of the honey the melding with the fork tender rib meat seamlessly. The first among the holiday selections I tried was the Garden Salad in Som Tum Sauce with Chicken Wings. This was a menagerie of crisp Vegetables drizzled with a vibrant Som Tum Dressing, and a blend of Shrimp paste for a hint of saltiness. With it being the Christmas season, I decided to only eat the chicken wings and selflessly gave the salad to another fellow blogger in need. There are some dishes that I don't expect to enjoy on the onset, but I find myself trying it any way, and it ends up blowing me away. Such was the case with the Homok Seafood Curry in Coconut. This was a mix of delicious Seafood swimming in a luscious red curry sauce, creatively served in a Coconut Shell. The creaminess of the red curry sauce was divine, enhancing the flavor of every single ingredient it touched. The Holiday Selection offers two desserts, the first I tried being the Sweet Potato Custard. Using a mashed Sweet Potato base, the custard is elevated even further by the generous drizzling of Coconut Cream. The last dish we had was the intriguing Wang Bean with Fried Onion. Doesn't sound like much of a dessert, but believe me, it's delicious. Taro Custard is drizzled in Coconut Cream, and is topped with fried Red Onions. The pairing seems rather unorthodox, but it works so well, it will surprise your taste buds. Dining out is always a treat with these lovely ladies! Some of the KTG with other blogger guests. If you're looking for - not just a taste of Thailand, but a delicious, world class restaurant to celebrate the holidays, then look no further than Mango Tree. You'll undoubtedly be taken on a gastronomic adventure unlike any other! please call 616-6694 or 0917-5349145. 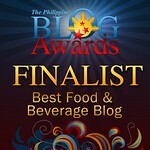 Follow Mango Tree Manila on Facebook!